Lightning strikes twice with Schneider Electric's second successful workplace. 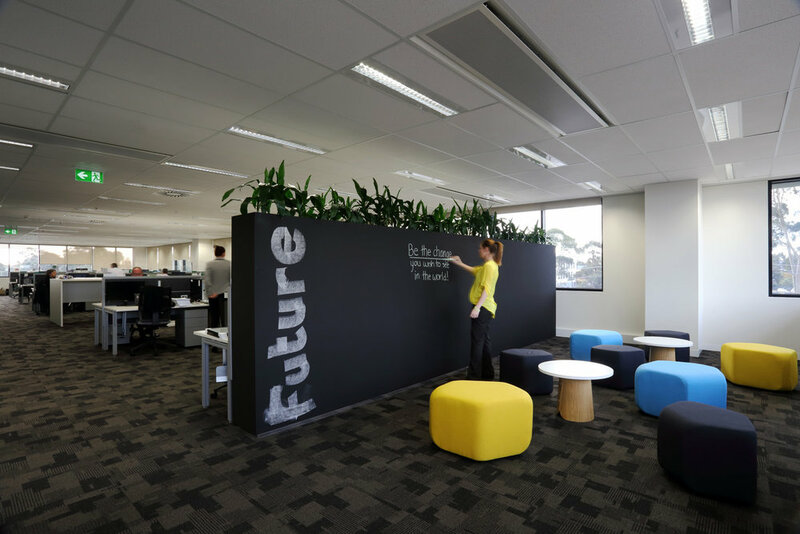 Following the successful completion of Schneider Electric’s Sydney workplace, FutureSpace has created a Melbourne workplace that reinforces the success of Scheider Electric’s brand and underscores their commitment to sustainability. 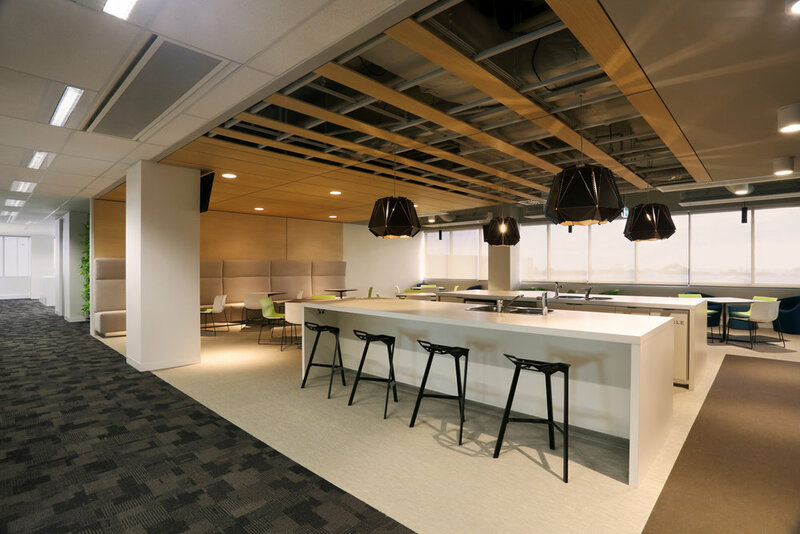 This project followed the same consolidation strategy as Sydney; to relocate all the Schneider Electric subsidiary companies into one centralised workplace encouraging collaboration and communication. FutureSpace developed and re-interpreted the “lightning” concept through angular lines integrated into bold design details, mirroring the building’s architecture. Set within a new 5 star green star building, the design objective was to achieve 5 star green star interior accreditation and was addressed by following GBCA specifications. The workplace is set across three levels with a lower ground warehouse. Predominantly open plan, the workplace environment is supported by various meeting rooms and private spaces for quiet and private work. 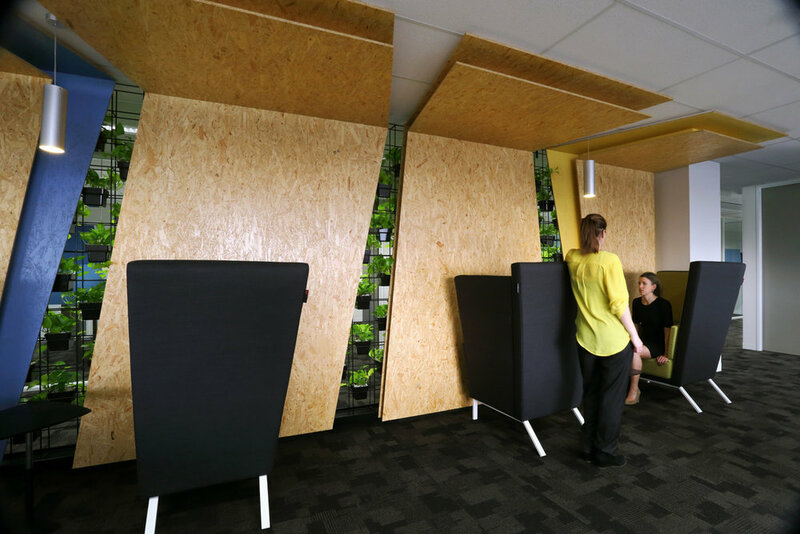 Collaborative casual meeting spaces and breakouts are designed to promote and support team work. 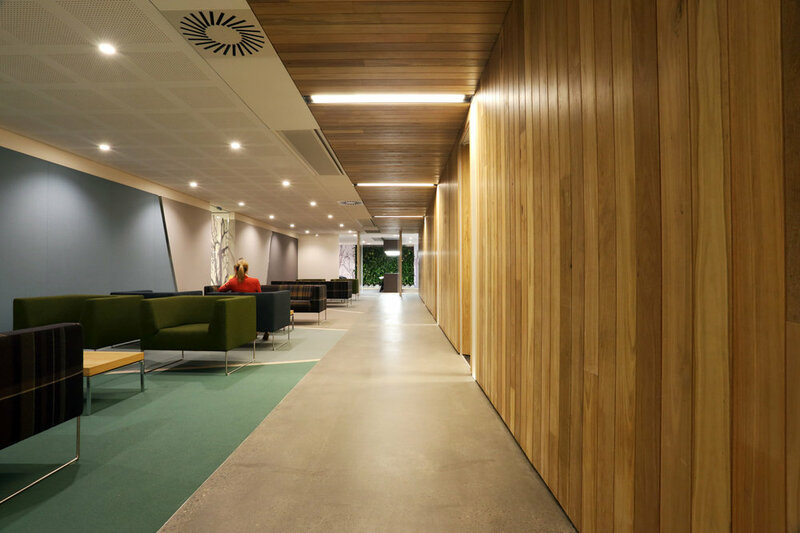 Generous client function areas and training rooms adapt to specific requirements enhancing the flexibility of the space. 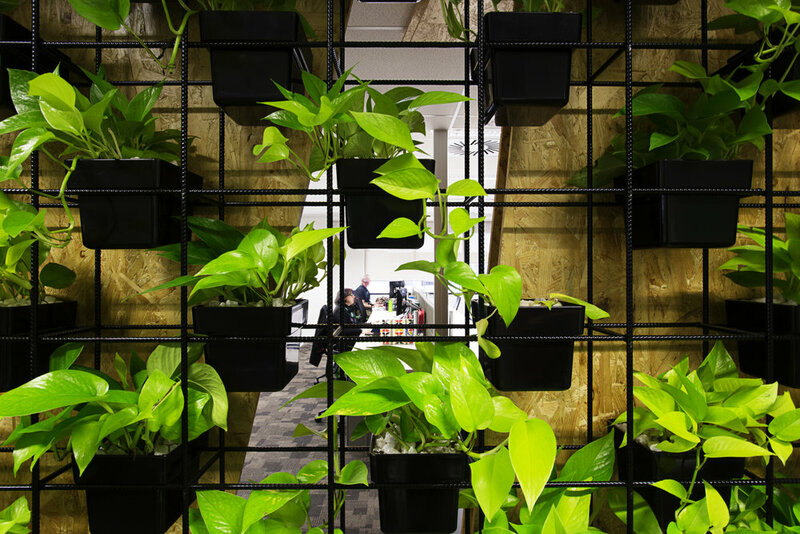 Schneider Electric’s latest technology is also showcased at the “Powerhouse” - a residential setting used for clients to view products insitu.